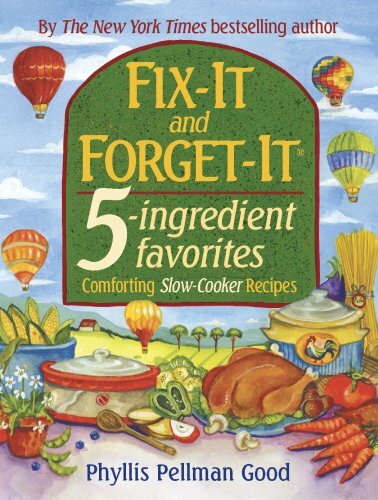 The solution Fix-It and Forget-It 5-Ingredient Favorites--the new member in the multi-million copy Fix-It and Forget-It cookbook series! This smart, new cookbook offers convenience and comfort to anyone faced with a too-full life and hungry people to feed. Fix-It and Forget-It 5-Ingredient Favorites, with its more than 700 recipes, can be your new faithful companion. Turn to it for Main Dishes, Meats and Pastas, Vegetables, Soups, Breads, Breakfasts and Brunches, Desserts, Appetizers, Snacks, and Beverages.